We featured Alyson Beaton’s adorable Lille Huset Dollhouses last spring, and now the company is offering a new collection of miniature dollhouses for kids to create, color and customize as an inspiring and rewarding craft activity. Lille Huset means “little house” in Norwegian. Each Lille Huset is one part art and craft project, one part play, plus a whole lot of fun. The houses come ready to build, but kids gets to use their own creativity to decorate the little house so they can make it their own. Most decorate-it-yourself dollhouses are large, and sometimes overwhelming to a young child, but a mini Lille Huset dollhouse, given its small stature, is the perfect starter craft/dollhouse project for a child. These eco-friendly dollhouses are not just cute, they’re super green, made from 100% recycled paperboard and printed in the USA with a certified carcinogenic free printing process. Each tiny dollhouse features an easy slot system that makes constructing the house and taking it apart easy for kids. Additionally, each home comes with an activity sheet, and though small, it still fits most tiny dollhouse dolls your child already owns. 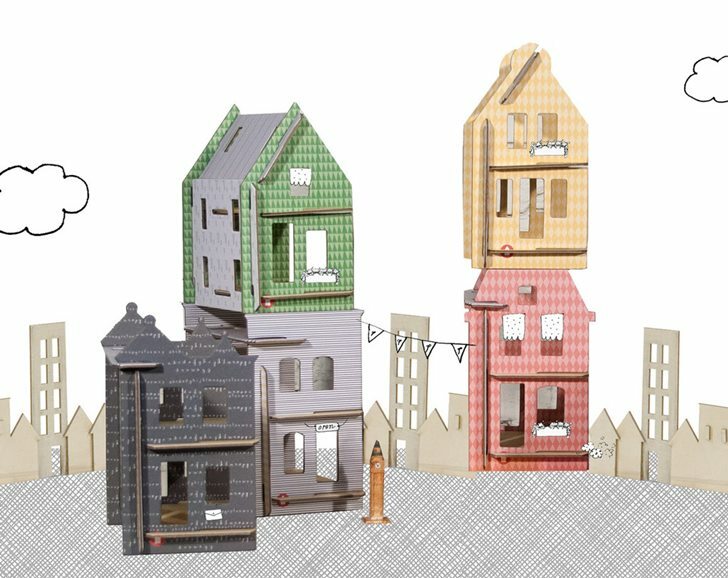 Lille City is a new tiny collection that offers all the extra small Lille Huset houses in a set so your child can build an entire city of fun. These are perfect for stacking, coloring and customizing and the packaging is also a play surface, printed to unfold and become a little city map to color on and explore. 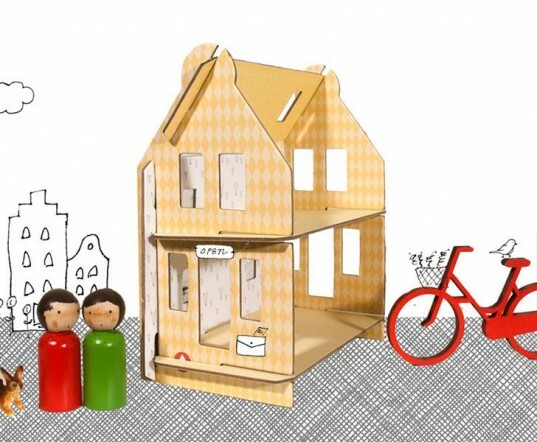 The new Lille Huset birthday kit is a wonderful idea for any children’s dollhouse themed birthday party. The set includes extra tiny houses in sets of 4, 6, 8 or 10 which become a party activity and party favor all in one! The little homes are all individually packaged and come with birthday party invitations, envelopes and scrapbook papers. 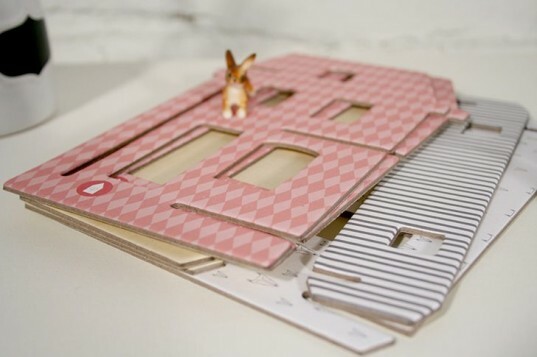 Due to their small size and paper materials, Lille Huset homes are recommended for kids four years and up, though they’d also make a smashing design addition to a baby nursery (perched on a bookcase). You can order the new small dollhouses via the Lille Huset website and check out their medium and classic sized dollhouses as well. Lille Huset means "little house" in Norwegian. Each Lille Huset is one part art and craft project, one part play, plus a whole lot of fun. The houses come ready to build, but kids gets to use their own creativity to decorate the little house so they can make it their own. Most decorate-it-yourself dollhouses are large, and sometimes overwhelming to a young child, but a mini Lille Huset dollhouse, given its small stature, is the perfect starter craft/dollhouse project for a child. These eco-friendly dollhouses are not just cute, they're super green, made from 100% recycled paperboard and printed in the USA with a certified carcinogenic free printing process. 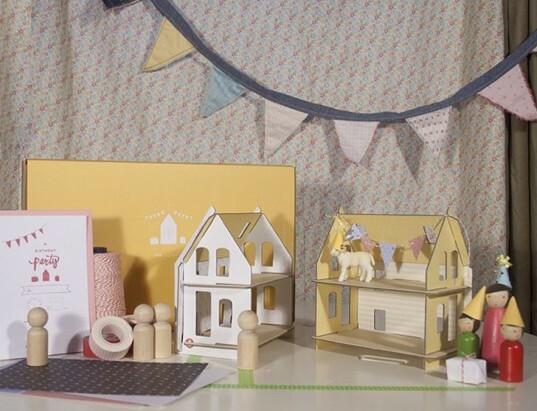 The new Lille Huset birthday kit is a wonderful idea for any children's dollhouse themed birthday party. The set includes extra tiny houses in sets of 4, 6, 8 or 10 which become a party activity and party favor all in one! The little homes are all individually packaged and come with birthday party invitations, envelopes and scrapbook papers. 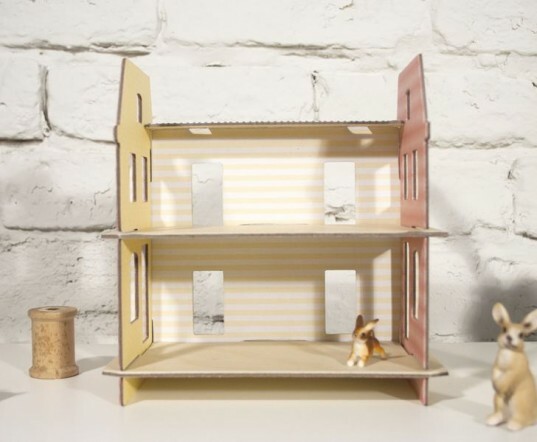 Due to their small size and paper materials, Lille Huset homes are recommended for kids four years and up, though they'd also make a smashing design addition to a baby nursery (perched on a bookcase). You can order the new small dollhouses via the Lille Huset website and check out their medium and classic sized dollhouses as well.